A recipient of the Rome Prize and the Berlin Prize, Ken Ueno is a composer/vocalist who is currently an Associate Professor at UC Berkeley. Ensembles and performers who have played Ueno’s music include Kim Kashkashian and Robyn Schulkowsky, Mayumi Miyata, Teodoro Anzellotti, Wendy Richman, Greg Oakes, BMOP, Alarm Will Sound, SFCMP, the Nieuw Ensemble, and Frances-Marie Uitti. His music has been performed at such venues as Lincoln Center, the Kennedy Center, the Metropolitan Museum of Art, MusikTriennale Köln Festival, the Muziekgebouw, Ars Musica, Warsaw Autumn, Other Minds, the Hopkins Center, Spoleto USA, Steim, and at the Norfolk Music Festival. Ueno’s piece for the Hilliard Ensemble, Shiroi Ishi, has been featured in their repertoire for over ten years, with performances at such venues as Queen Elizabeth Hall in England, the Vienna Konzerthaus, and was aired on Italian national radio, RAI 3. Another work, Pharmakon, was performed dozens of times nationally by Eighth Blackbird during their 2001-2003 seasons. A portrait concert of Ken’s was featured on MaerzMusik in Berlin in 2011. 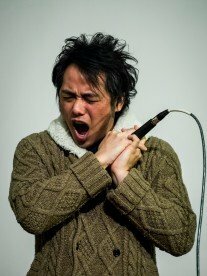 As a vocalist, he specializes in extended techniques and has collaborated in improvisations with Ryuichi Sakamoto, Joey Baron, Ikue Mori, Robyn Schulkowsky, Joan Jeanrenaud, Tim Feeney, and David Wessel amongst others. Recently, he performed his vocal concerto with the Warsaw Philharmonic. Ueno holds a Ph.D. from Harvard University. A monograph CD of three orchestral concertos was released on the Bmop/sound label. 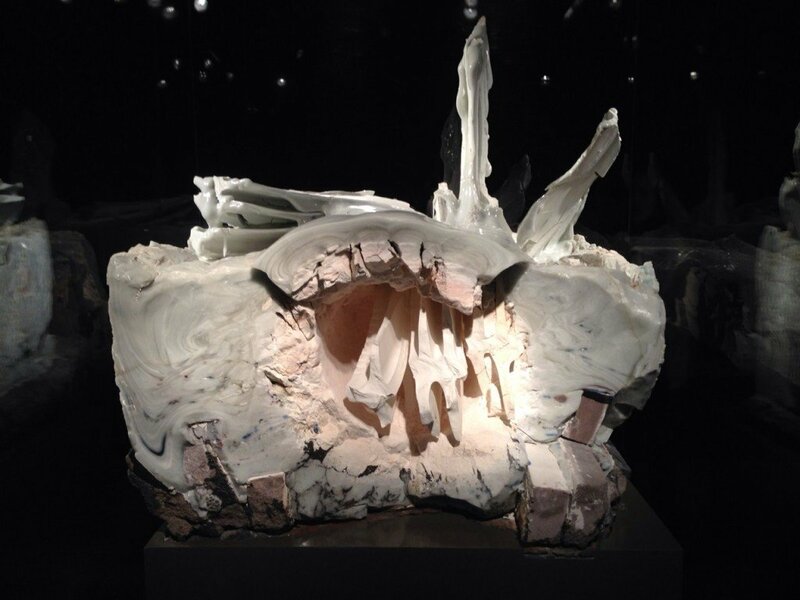 It is inspired by this work of experimental ceramics by Nishida Jun. I like the somatic nature the work, inventing a non-functional ceramics, as well as the physical commitment to realize it.